NEW DELHI: There is a huge wastage of food and water at wedding functions in Delhi even as an "unconfirmed report" has stated that three girls recently starved to death here and people continue to face water shortage, the Supreme Court said Thursday seeking to know the government's plan to deal with the issue. Commercial interest of owners of motels and farmhouses, where marriage ceremonies take place, was getting far more important than the public interest, indicating a "very sorry and sad state of affairs", prima facie loaded in favour of the rich and powerful, the top court observed. A bench headed by Justice Madan B Lokur said it was high time that the authorities concerned with the governance of Delhi gave precedence to public interest over commercial interests of owners of motels and farmhouses. The bench, which also comprised Justices Deepak Gupta and Hemant Gupta, asked Delhi's chief secretary to appear before it on December 11 so that appropriate directions could be passed in this regard. The court, which was hearing a matter related to Blue Sapphire motel here, was informed that there were around 300 marriage halls in Delhi but during the wedding season around 30,000 to 50,000 marriages take place on a single day. The counsel appearing for the motel said they had an underground water tank of one lakh litre capacity and the fire department has told them to increase it to 1.27 lakh litre. "Commercial interest of these motel owners is not above public interest of people of Delhi. If every motel will have one lakh litre water stored with them and people of Delhi are not getting water, then what is to be done," the bench said. "Tell us how much food and water is wasted in these 50,000 marriages here," the bench asked, adding, "You have (municipal) corporations which side with this kind of people (motel owners). That is why we are having so many problems. A balance has to be struck in favour of public interest"
The bench referred to a news report of July which claimed that three girls had died here due to starvation. When the counsel appearing for municipal corporations said it was "Indian mentality" to have several functions in marriages, the bench said it was much more in northern India, particularly Delhi. "In our view, it is high time that the authorities concerned with governance issues in Delhi give precedence to public interest rather than commercial and financial interest of owners of motels and farmhouses and other similar organizations," it said. The bench said it is a matter of common knowledge that availability of drinking water and availability of food is a "natural human right" and this must be respected by the authorities concerned with governance of Delhi. The court said there were a number of farmhouses and motels in Delhi and one can imagine the amount of water used by them for carrying out their business. "We are mentioning this fact in the context of water shortage in Delhi and an application having been moved in this court today by the NCT of Delhi (in another case) requiring the state of Haryana to release large quantity of water because of shortage of water in Delhi," it said. 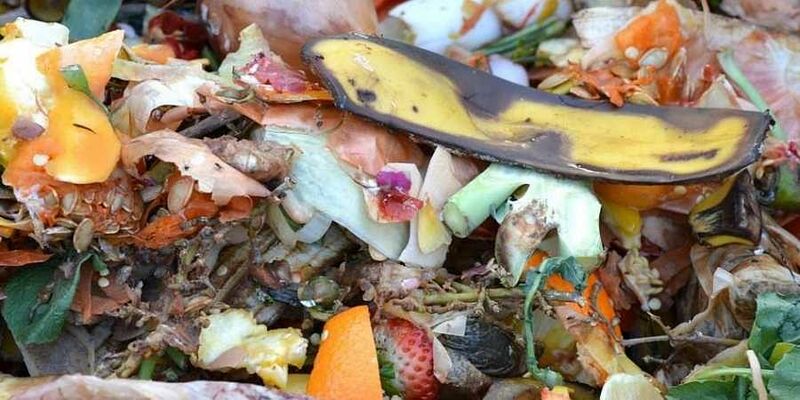 "That apart, we also find that tons of food are served in these functions including weddings and a large quantity of food goes waste. We are mentioning this in the context of an unconfirmed report that had appeared in one newspaper sometime back that three girls starved to death in Delhi," it said. When the counsel appearing for the motel told the bench about their water storage, the bench asked, "From where are you getting one lakh litre of water? People of Delhi are not getting water due to all this things". "In other words, there is a huge amount of mismanagement of scarce water and wastage of food. Surely, no one can say that this waste is in public interest," the bench said. "The attitude of the state and the authorities under the state including the municipal corporation appears to be in favour of the motels and farmhouse owners much to the detriment of public interest," it said. The court also said that it was talking about the entire motel and farmhouse industries in Delhi which were engaged in hosting functions like marriages. "To further look into the matter and see whether the state is thinking on these lines, we would require the presence of Chief Secretary of Delhi on Tuesday, December 11, so that appropriate directions can be passed. It should be appreciated that money is not everything in life," it said. The bench also observed that since there were hundreds of motels and farmhouses in Delhi, it was virtually impossible for the Delhi Fire Service and other authorities to go on and inspect these premises to see whether laws were being complied with. The issue had cropped up when the court was hearing a matter related to sealing of unauthorised constructions in Delhi. The top court is also seized of the issue related to the validity of the Delhi Laws (Special Provisions) Act, 2006 and subsequent legislation which protect illegal construction from being sealed.